See everyone at 17th and Constitution at 6:00. I’ve got the cones, someone bring a ball. 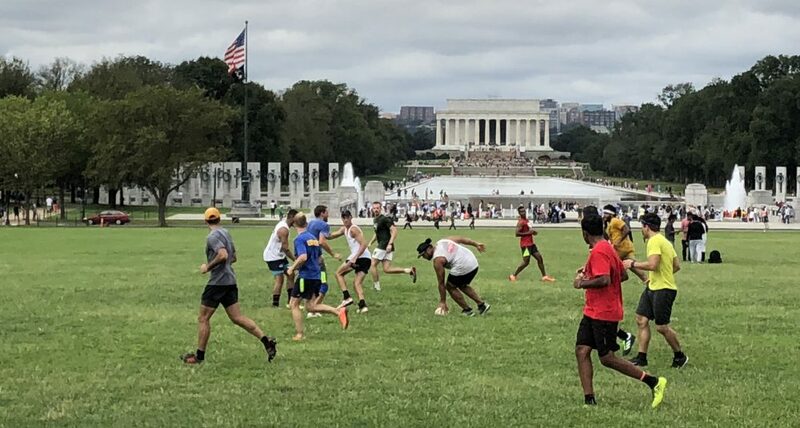 Hey all, Ive been looking to get in to some touch rugby. Can anyone show up? Do you wear cleats/boots? Yeah, anyone can show up! Wear your boots if you have them, but if not, running shoes will suffice! See you out there! Hi all!! Sorry I haven’t been able to come to touch in forever… I began playing on the women’s rugby team here: the DC Furies! Hopefully I can come on Saturdays. See you all then!